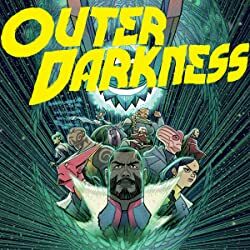 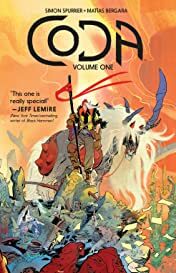 In the aftermath of an apocalypse which wiped out nearly all magic from a once-wondrous fantasy world, an antisocial former bard named Hum seeks a way to save the soul of his wife with nothing but a foul-tempered mutant unicorn and his wits to protect him. 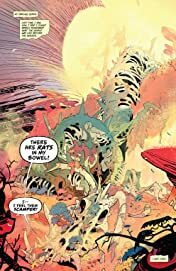 But in the process, he is unwillingly drawn into a brutal power struggle which will decide forever who rules the weird wasteland... 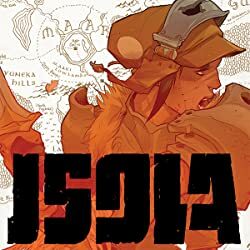 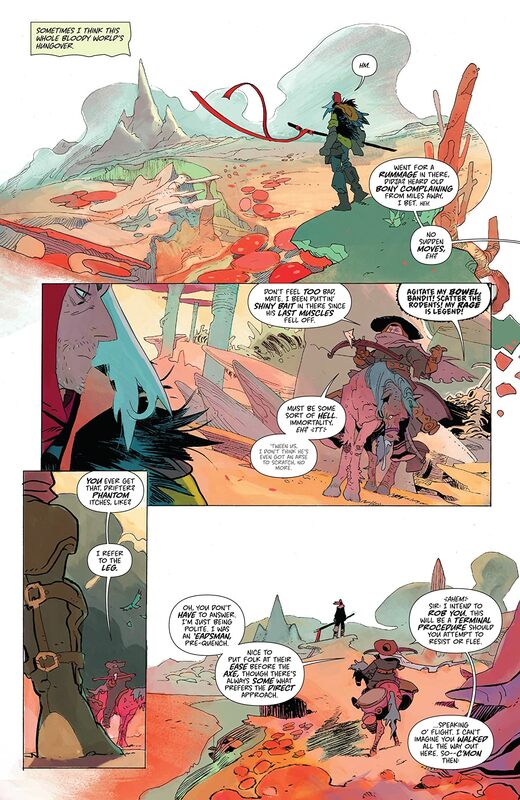 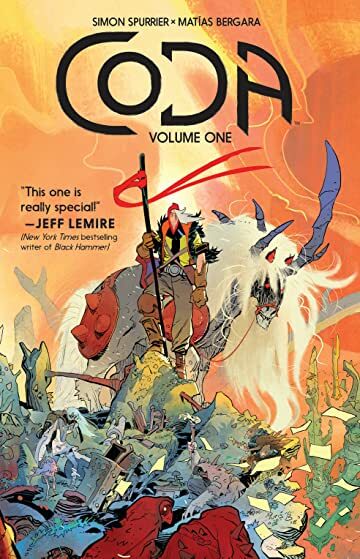 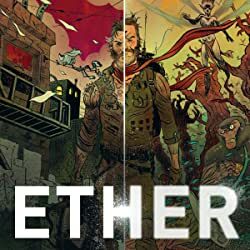 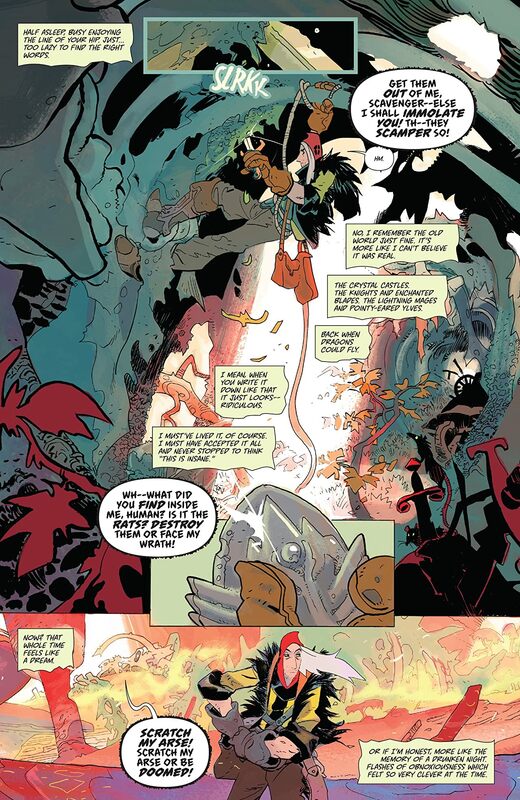 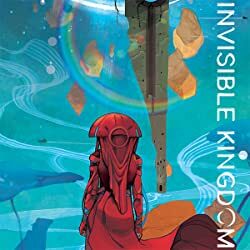 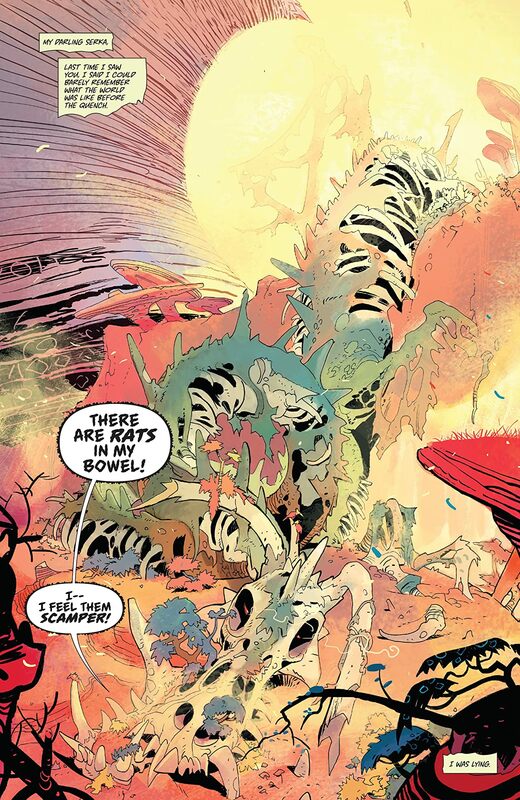 Written by Eisner Award-nominated author Simon Spurrier (The Spire, Godshaper) and lavishly illustrated by artist Matías Bergara (Supergirl, Cannibal), Coda is a relentless kaleidoscope of visual wonders, exploring high fantasy and the post-apocalypse through the lens of a curmudgeonly loner in search of his lost love.